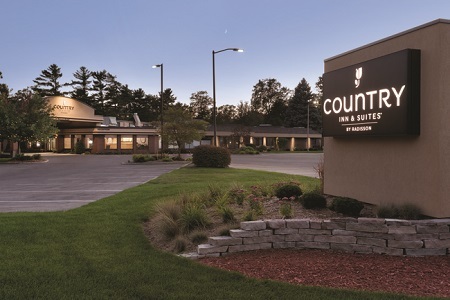 Beautifully situated between the east and west branches of Grand Traverse Bay, the Country Inn & Suites® by Radisson, Traverse City, MI places you minutes from gorgeous beaches and a mile from bustling downtown. It’s a quick drive to more than 150 inland lakes and rivers. To explore the area, you can also ride a bicycle down the 10.5-mile TART trail, take in views along the Grand Traverse Bay shoreline, or sample the delicious cuisine at one of the numerous restaurants in downtown Traverse City. If you’re here in early July, don’t miss the world-famous National Cherry Festival! 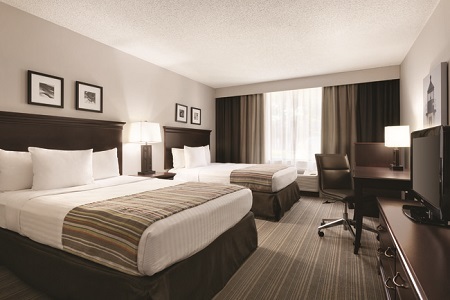 Reserve an Executive Business Room to enjoy a spacious room with a king bed and a 42-inch flat-screen TV. 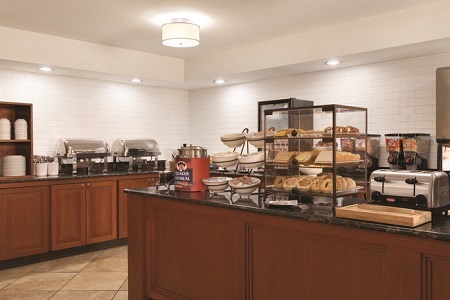 Guests appreciate our free, hot breakfast served every morning. Pile your plate high with favorites like French toast, waffles and bacon, or enjoy a lighter meal by pairing fresh fruit with yogurt or oatmeal. Whether you’re in the mood for something casual or elegant, there are plenty of nearby restaurants within a four-mile radius, including Amical, the Blue Tractor and Sleder’s Family Tavern, which has served Traverse City since 1882. State Theatre – Home of the Traverse City Film Festival, this theater is a must-see attraction two miles from our hotel. Looking to plan the perfect date? The State Theatre offers dinner and movie packages in addition to several free events throughout the year. Great Lakes Children’s Museum – Located just four miles from our hotel, this delightful attraction provides educational entertainment for the entire family. Kids enjoy hands-on displays and demonstrations designed to inspire curiosity and learning. Bring an extra shirt if you plan to visit the water exhibit. Old Mission Peninsula – Home to several wineries, farmers markets and beautiful views of Lake Michigan, the Old Mission Peninsula is a must-see during your time here. Take the long way back to the hotel and enjoy a number of scenic drives. 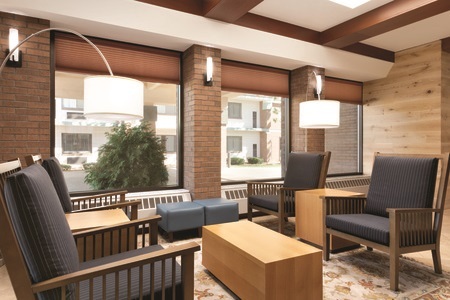 We offer discounted rates for corporate travelers, weddings, tour groups, sports teams and family reunions when reserving a block of 10 or more rooms.